Unisport Boot Challenge | Are you smarter than Jay Mike? We’ve created our own Boot Challenge, where we challenge you and your friends to use your football boot knowledge! Do you think you know more about football than Jay Mike – and are you up for the test? Well, head over to our challenge and compete to win a pair of football boots. Are you a true boot geek, could you have been our Unisport WebTV host? 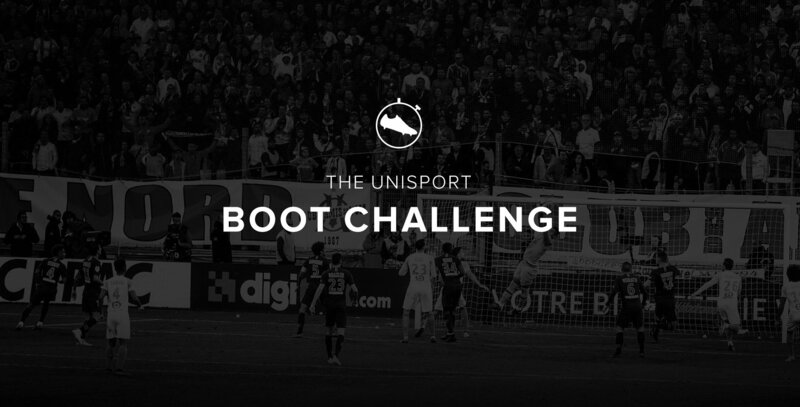 Well why not try out your luck in the Unisport Boot Challenge! It’s all about football boots, so if you’re know your stuff, participate in the challenge and get the chance win a pair of football boots! You might wonder ‘But how do I do it?'. Hopefully it’s very simple and I’ll give you some tips on the way. Just click the link above and sign up by using your name and e-mail address and agree on the conditions. When you’re ready just start the test and you’ll be shown a snippet of a boot, which grows during the time. But be fast, you don’t have unlimited time to answer, so be quick! To get a chance to win a pair of football boots you ‘just’ have to have 8/10 answers correct, so it’s time to bring your A-game to the test. We asked Jay Mike to take the test, so you could get a feeling of how hard the test is. Jay Mike answered all questions correct in a time record of 26 seconds, so you can’t be to slow if you want to win the boots.